Almost a year after the last season graced our TV screens, Peaky Blinders season five has started filming. The period drama began way back in 2013, and has since captured our attention with four spectacular series’, starring Cillian Murphy. Season four of the show came to an end just before Christmas last year, giving us a long wait for news about what’s to come. So while we still have some time to kill before season five hits our screens, we can now be assured by knowing it’s in the works. An Instagram account for Murphy, who plays Tommy Shelby in the crime series, has given us an insight into the production of the show. PEAKY NEWS! S5 filming starts tomorrow, Sept 17. The series is expected to air in Spring 2019 on BBC1. 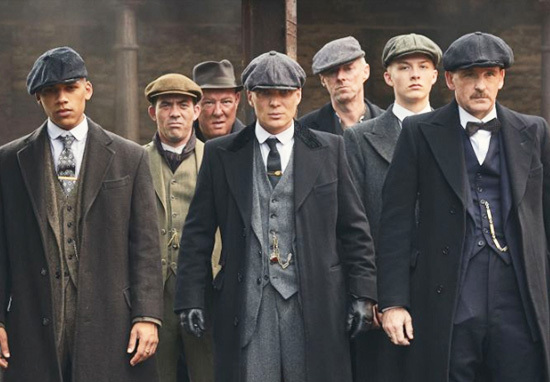 By order of the #PeakyBlinders, we hereby issue @BBCOne with full membership to the Shelby family business! Welcome to the gang! The director of BBC content, Charlotte Moore, explained the reasoning behind the move. Peaky Blinders is world class drama at the top of its game and the time has arrived for it to move to the UK’s biggest channel. Steven Knight’s epic storytelling is authentic and utterly compelling and I want to give it the chance to be enjoyed by an even broader audience on BBC One. We couldn’t have asked for a better response to series four and the impact it had with young audiences. This move will also give BBC Two more creative headroom to experiment with new drama. As for the cast, *spoilers alert*, we can be pretty confident all the main characters will be making a comeback, meaning we’ll be seeing much more of Murphy (Tommy Shelby), Helen McCrory (Polly Gray), Paul Anderson (Arthur Shelby), Sophie Rundle (Ada Thorne) and Finn Cole (Michael Gray). Joe Cole, who played John Shelby, probably won’t be making an appearance in the show, due to his unfortunate demise in season four. Bring on season five – can’t wait!